Non-migratory birds, they will generally run to escape danger but can fly strongly for short distances. 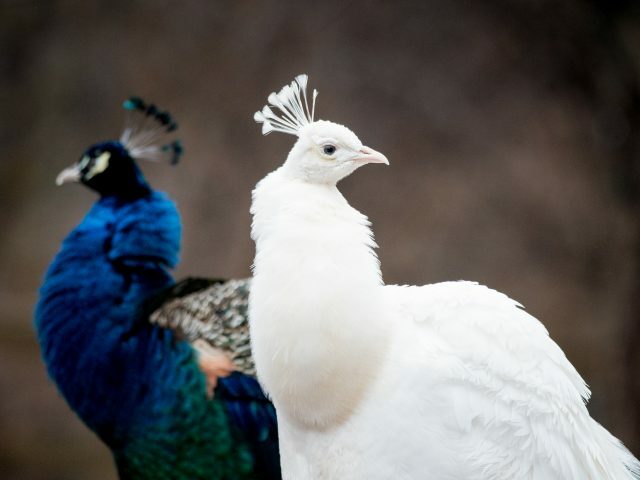 Peafowl have been domesticated for centuries, and in zoos are commonly given free rein since they are so comfortable around people. Roosting in trees or similar high places is common at night. 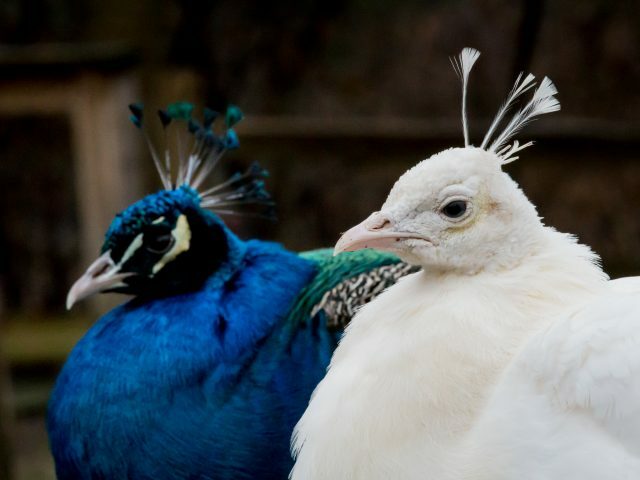 Males are peacocks, females are peahens and young are peachicks. 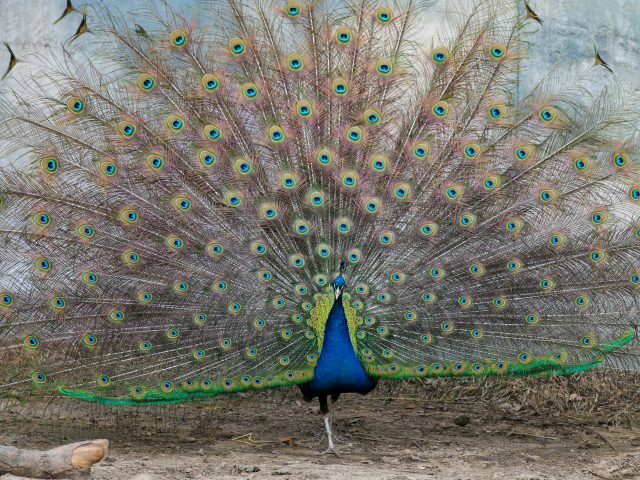 During courtship, the male spreads his train, struts, and whirls his feathers, turning to face the female with the upper ornamental side of the train showing. 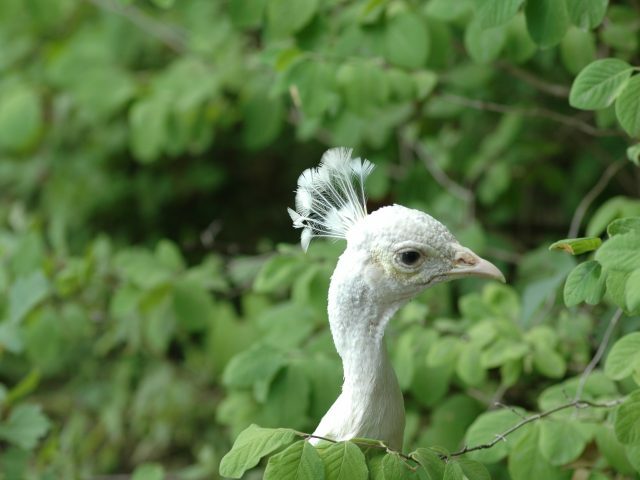 We always have lots of peafowl running about at the zoo, including chicks! The Indian peafowl is the national bird of India, and is considered sacred. 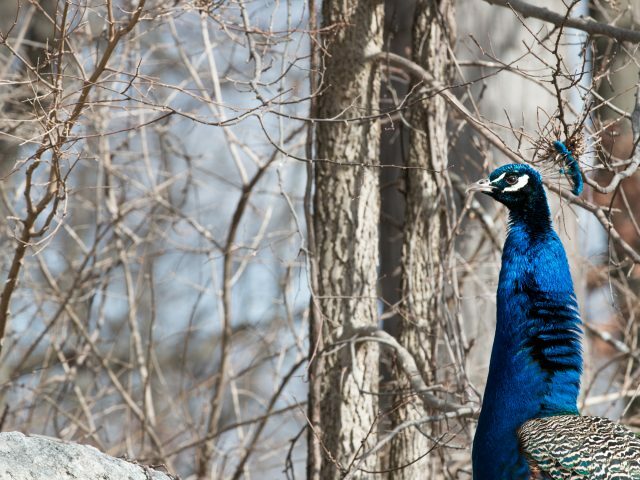 We have over 30 peafowl on grounds here at PPZ! 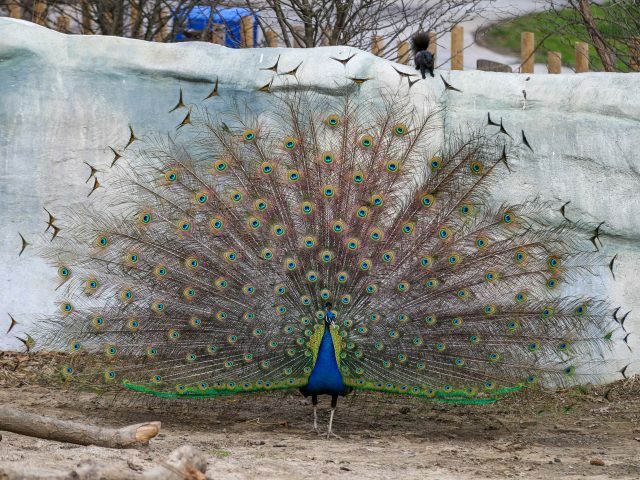 You can’t miss them strutting around the zoo and showing you their colors. Peahen are around 34 inches in length, and in full breeding plumage, peacock can be up to 7 feet! Seeds, grains, berries, and invertebrates.